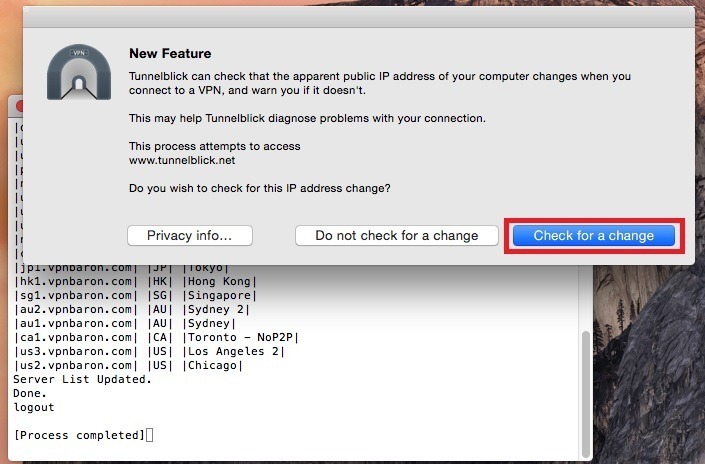 We’ve created a script that downloads Tunnelblick and fetches all our servers for you. 4. 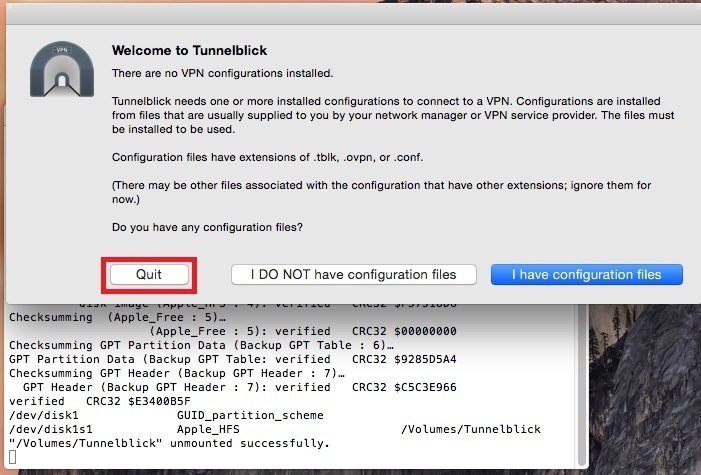 When tunnelblick asks for the config files, select “Quit”. 7. As in step 3. , it might ask you for the admin password. 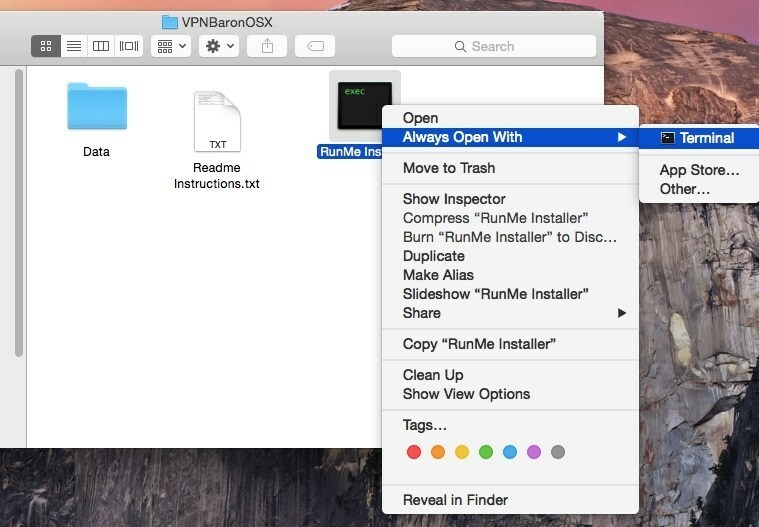 After that, insert your VPNBaron password. 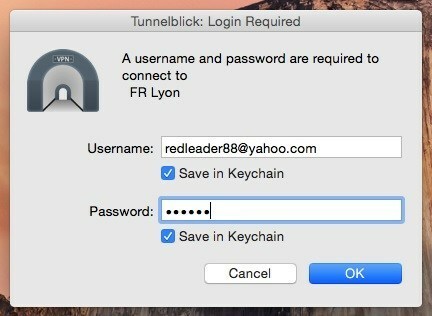 Make sure to check “Save in Keychain” to store the credentials for future use. 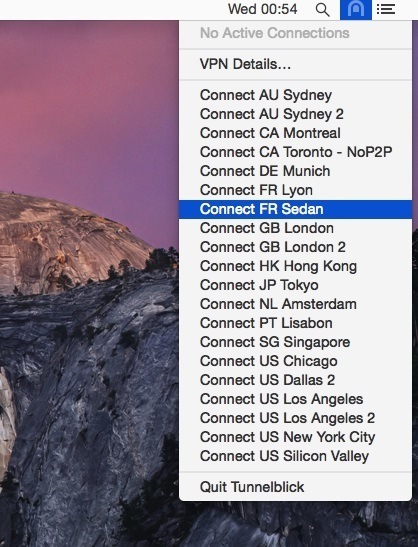 For those that are interested in the manual version of the installation, see How to Connect to VPN on mac Manually.